More than 440,000 parts for a number of industries, including automotive, were produced last year at Westside Manufacturing and Fabrication Inc. in Wixom. Few attorneys practice what they preach — but then there are the rare ones who do just that. Take Mark C. Knoth, for example. A labor and employment lawyer by day, Knoth oversees a manufacturing and fabrication shop early in the morning, in the evening, and, at times, on the weekends. 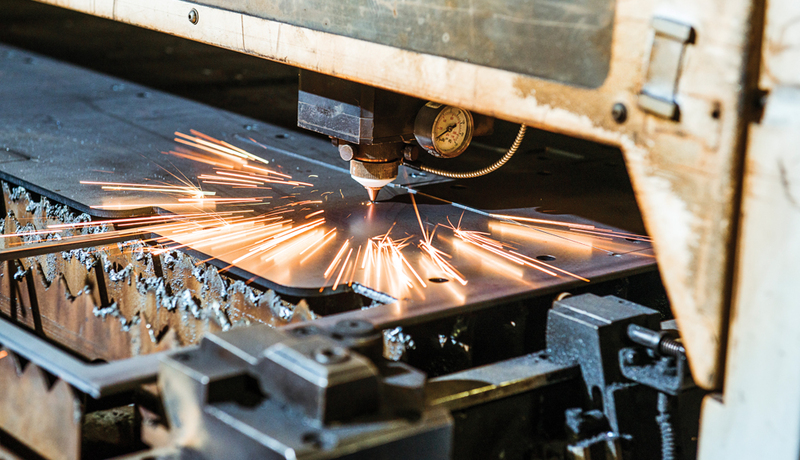 As director of Westside Manufacturing and Fabrication Inc. in Wixom (soon to be KW Laser and Manufacturing), Knoth makes sure the company has the tools, supplies, and raw materials to produce 440,000 parts a year for the automotive, trucking, construction, furniture, and aftermarket sectors. Mark C. Knoth, a lawyer with Kerr Russell in downtown Detroit, above, runs an automotive parts business that was founded by his late father, Karl H. Knoth. The company, Westside Manufacturing and Fabrication Inc., got its start in 1992. 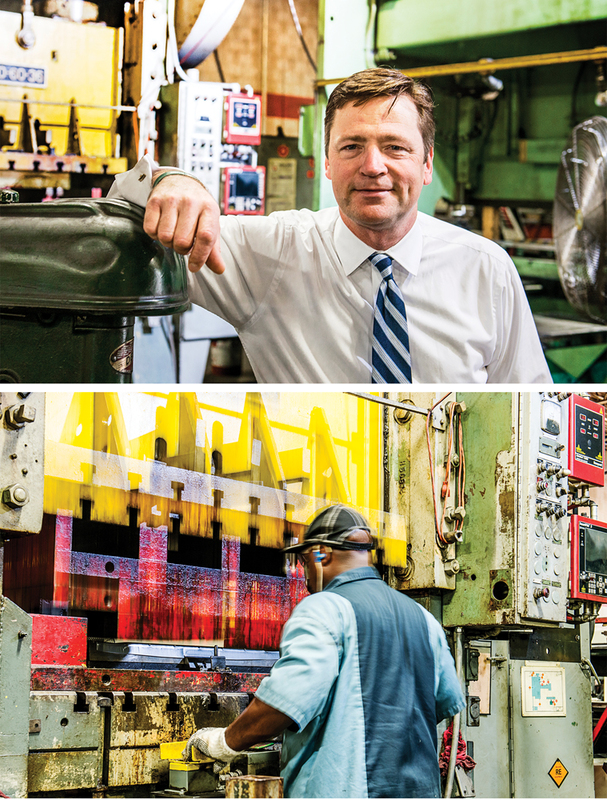 “The experience of running the company allows me to look behind the curtain and understand what it takes to maintain and expand a manufacturing operation,” says Knoth, chair of the labor, employment, employee benefits, and ERISA practice group at Kerr Russell, a large law firm in downtown Detroit. 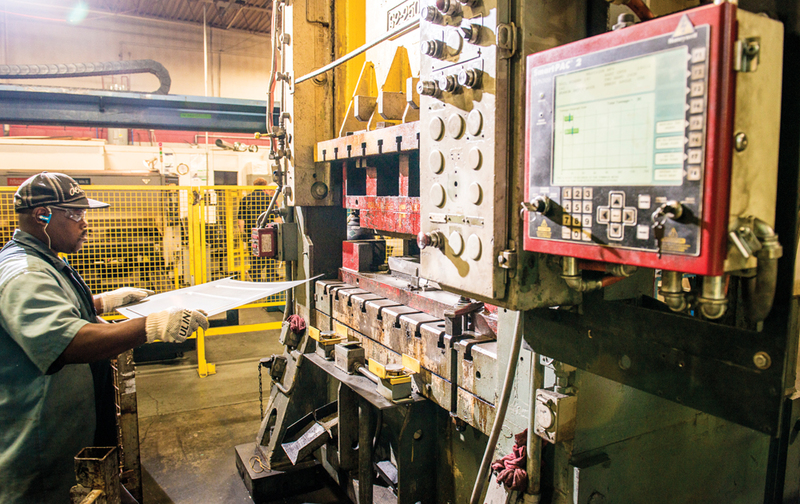 Knoth credits an experienced staff at Westside Manufacturing in running the day-to-day operations of cutting, stamping, and molding an array of parts. 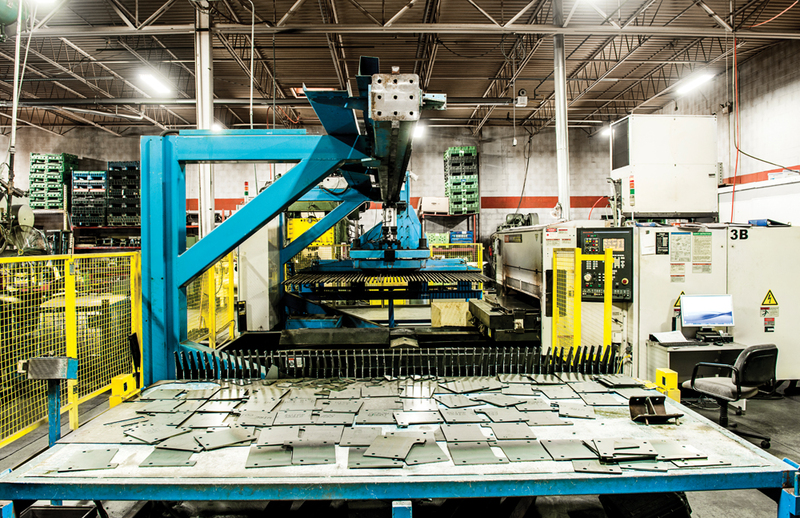 “Most of my work at Westside Manufacturing is done by phone on the way to work. Plus, they’re a client of Kerr Russell, so there’s value for everyone involved,” he says. In the last three years, Knoth says the company’s revenue has grown 40 percent by adding equipment like a laser cutter to speed and expand production. Other equipment was rearranged on the shop floor to boost efficiency; it’s a process that’s still underway. A second shift may be added in the near future. As a manufacturer’s son, Knoth says he didn’t fully appreciate his father’s career until he started running Westside Manufacturing. A German native, the elder Knoth came to America in 1957 and found work as an hourly employee on the body shop assembly line at Ford Motor Co.’s Wixom Assembly Plant. In 1971, he left and joined American Sunroof Corp. in Southgate, where he was named plant manager of the company’s first production facility. Following a series of promotions, he became president and COO of ASC. He left the company in 2001 after the death of its founder and his close friend, Heinz Prechter. “My dad said if you could hear the bang, bang, bang of the stamping equipment, the company was doing well,” Knoth says. “Right now, we’re dealing with rising steel prices, which are up 35 percent since December due to supply and demand, along with what’s going on with tariffs.